Home » Thoughts on Dugin's "Eurasian Mission"
Count Nikolai Trubetzkoy first established the theory of Eurasianism, and is thus considered the founder of the movement. He was also a friend of Claude Lévi-Strauss, the famous French anthropologist, from whom Eurasianism drew its idea of a pluralistic world. This is the first and most important position of the Eurasian philosophy, which can also be formulated negatively as the rejection of Western universalism. This universalism also had French roots, growing out of 18th-century Enlightenment thought, the effective imperialism that emerged through the military and technological dominance of the European powers, and the resulting Eurocentrism. In addition to rejecting these aspects of the West, Eurasianism also rejects the hypocrisy of modern democracy, the ideology of "human rights," and consumerist materialism. To counter Western universalism, Eurasianism proposes a multipolar world that is modulated by a sense of social responsibility and traditionalism. 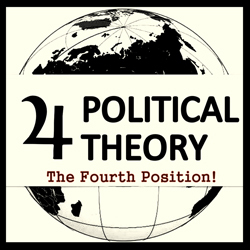 The ideas of Eurasianism have evolved into what Alexander Dugin terms Neo-Eurasianism and the Fourth Political Theory, the latter also the name of Dugin's best known book in English. 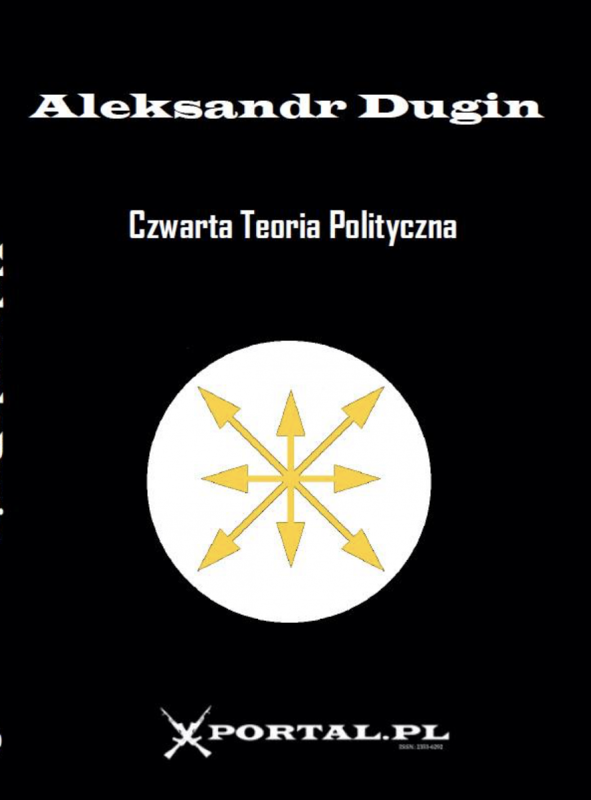 Recently published by Arktos, Eurasian Mission is Dugin's most recent summation and update of his theories to appear in English. This allows us to consider his theories and outlook in some detail. If Eurasianism opposes the New World Order and American-led globalization, it does not reject the concept of globalization outright. Instead it could be claimed that it is simply offering an alternative way to do it; an alter-globalization. According to Eurasianist philosophy, nations should disappear and should be grouped into "Great Spaces" that would themselves be grouped in blocs. There would be an Atlantic zone, a Euro-African zone, a Russian-Central Asian zone, and a Pacific zone. Dugin regards "the nation" as a mere bourgeois construct. Accordingly, in his vision, nations would lose all sovereignty and would be replaced by "autonomies." These entities would be free to adopt internal policies in the fields of economics, justice, education, health, etc., but would have no power whatsoever in terms of international politics. This would be the sole preserve of the Great Spaces and the power blocs. For Quebec, it would mean more power than it already has, but, being in a super state with Canada, the United States, and the United Kingdom, its external policies would be dictated by an otherwise homogeneous Anglo-Saxon bloc. Needless to say, we would not have our voice heard and would have to follow Ottawa, Washington, and London unconditionally. History has proven to us countless times that their international policies seldom benefit French Canadians. Also, it is clear that a population of 8 million in a great space encompassing more than 410 million Anglophones would jeopardize our survival as a people. "Russia is called to counter the West, not only to safeguard its own path, but also to stand at the vanguard of the other peoples and countries of the Earth in order to defend their freedom as civilizations." Because Russia is a multicultural state, Eurasianism does not reject multiculturalism. It actually encourages the building of autonomies that include different identities, ethnicities, and religions within them. This is a position in conflict with an ethno-nationalist worldview. Although not stated explicitly, this is clearly the model proposed by Putin for Russia’s allies: Yugoslavia, Iraq, Syria, Lebanon, and even Iran. History suggests that such a model cannot function well without a charismatic, authoritarian, and even tyrannical leader. While that may lessen the ethnic tensions for a while, history also shows us that the downfall or even the loss of prestige of such a leader brings about a tragic unraveling of such unstable entities. But Russia is forced to support such a model by its very nature, as it is perhaps the best example in the world today. According to Dugin, Eurasianism is a theory that is relevant to diverse fields such as sociology, anthropology, and history. However, looking at the many books he has written on the subject and bearing in mind that he was the “creator of the modern Russian school of geopolitics,” it becomes clear that the focus of that theory is first and foremost geopolitics. In his essay "On White Nationalism and Other Potential Allies in the Global Revolution" (Eurasian Mission p.166-171) Dugin makes it quite clear that he is not an ethnic nationalist, as many people mistakenly presented him. Yet he claims that Western ethnic nationalists can be alliesof Eurasianists in the struggle against American hegemony. His concept is that we must first overcome the Atlantist enemy, and then solve our own disputes. "Joint action does not require us to be fighting for the same ideals or to be in solidarity with particular standards that will replace the current catastrophe and pathology. These ideals may be different, and even, to some degree conflict with one another, but we all must realize that if we won’t be able to terminate the global oligarchy, all of these projects, whatever they are, will remain unrealized and we will perish in vain." This unity in fighting a common enemy can be best illustrated by Greece. Eurasianits support far-right Golden Dawn, but support at the same time the far-left party Syriza. The politics defended by these groups do not matter; instead, it is their opposition to the current world political situation that matters. Dugin sends a warning to identitarians worldwide: if some rightfully defend their identity and roots, they may well fall into the "Islamophobia trap" and actually end up working for the system they despise. Perhaps the best example of this trend is the English Defense League. Overall, Dugin's criticism of Western modernity is spot on. But, simply because the disease is diagnosed properly, does not mean the cure proposed is the most appropriate one. Changing one sphere of influence for another, even if the latter is more respectful of our values and identities, is still neo-imperialism. Wouldn't the true antithesis of American Imperialism be a neutrality or non-interventionist policy, like that advocated by Charles Lindbergh, rather than some oriental Neo-Imperialism? Is Eurasianism's call for multipolarity genuine or is it only a transit station on the road to a new bipolar or even unipolar world, where Moscow would reign supreme as the Third and final Rome? Wouldn't it be just as much a mistake for nationalists today to blindly follow Moscow in its anti-US struggle as those 20th-century nationalists who supported NATO and the US simply because of their anti-communist stance? These questions remain open and must be pondered. Vladimir Putin appeals to many nationalists because of his style and his tone. However, we must look beyond such glamour and superficiality to the real interests of our various peoples.